For any alcoholic-beverage makers or growers thinking about combining marijuana and alcohol in California, don’t hit the launch button just yet. 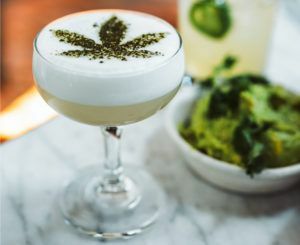 The state’s Department of Alcoholic Beverage Control (ABC) issued a memo spelling out its current stance that infused alcoholic beverages of any stripe – whether infused with THC, CBD or basically any cannabinoids – are prohibited. That decision stems at least in part from a July 6 Department of Public Health (DPH) policy memo, which stipulated that hemp-based CBD couldn’t be legally added to food or drink. The ABC’s memo also reminded restaurant and bar owners that they’re further prohibited from allowing consumption onsite and aren’t allowed to sell alcohol and cannabis at the same location. The one bright spot for business owners? There’s nothing prohibiting a California company from owning both a bar and a marijuana business. They just can’t commingle. This was a bad idea from the start. Combining the two would be like fire and gasoline. Alcohol and cannabis together are dangerous because alcohol causes a loss of inhibitions and judgment goes out the window . In a safe environment it might be OK but out on the street it is a recipe for death. Can you just imagine what could happen with the US economy if the various government agencies (federal, state, local) would just get the hell out of the way of American innovators and entrepreneurs? This is investor jamesy giving Norton a big thumbs up. We are hiring gum flapping legislators who have no experience creating wealth other than having their vote paid for. These oracles of policy decide based on hunches and conjecture until a lobbyist shows up with cash. Don’t people look before making a product that will put them in jail? This has never been legal. For all the negative Nellies, it is being done in Colorado and without incident. Know what you are talking about, before spewing untruths. What about THC Free Hemp Oil? How can California presume to control that? This is important. Can’t paint both narcotic and non-narcotic with the same brush.